Are you interested in presenting an original and unique guitar concert in your association? 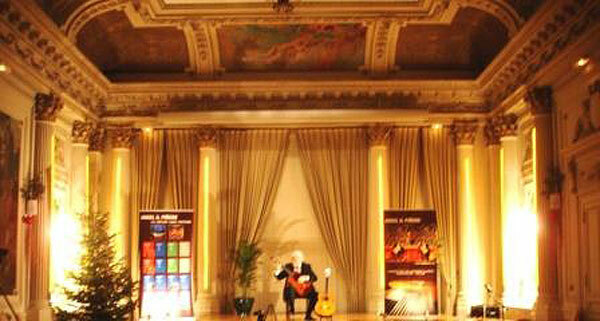 Angel G. Piñero, in addition to composer of works for classical guitar and teaching methods for this instrument, had as main characteristic that of concert, with a long career, since he has given several hundred concerts in Spain, Europe and U.S.A. Now he puts all his knowledge and his works at the disposal of young guitarists for the execution of his works. 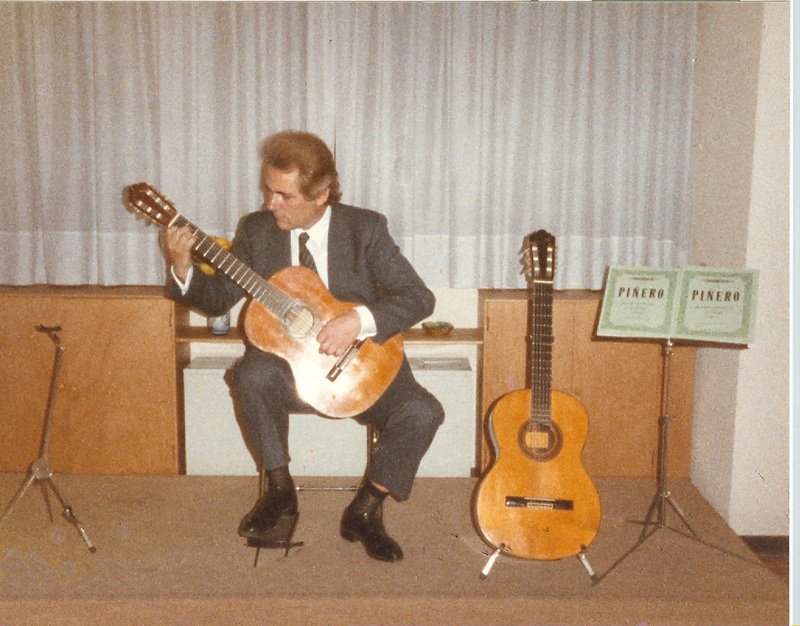 In his concerts, he has always caused the admiration of the different audiences by indistinctly playing the guitar with his right hand and with his left hand, offering different sonorities (the yolk or the nail), according to the characteristic of the work and its time and being the only soloist in the history of the guitar that offers in a single concert the two schools, the yolk cultivated among others by Francisco Tárrega and the nail, equally cultivated among others by Andrés Segovia. For this he had to invent a guitar with grooves along the neck to safeguard the nails of his left hand, when he pressed the strings playing with his right hand and had another guitar built to be played with his left hand and the nails he had preserved and safeguarded from this hand. The artistic personality of Angel G. Piñero is a studious, restless and investigative artist who provides solutions to the two existing schools to play the classical guitar, the fingertip and the fingernail. He has composed and edited eight concert works for guitar -one-, a work for guitar and trumpet and a work for guitar and string quartet. Discography: CD and MC “Uña y Yema” Volume I and Volume II. In preparation Volume III. Angel G. Piñero from this page offers his knowledge and works to organize concerts and publicize his innovations and his works in all the places that are interested. Fill in the form and I will get in touch with you.